Take care of your lips by applying SPF 30 protection that blocks both UVA and UVB rays. 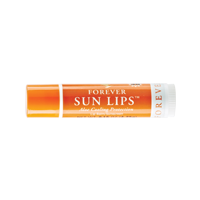 This is a real must-have product for the summer months and offers perfect lip protection during ski season. It’s water-resistant for up to eighty minutes and has a refreshing cool-mint flavour. Apply to the lips regularly, particularly during the winter and summer months.